For those of you who have a physical store and depend on direct contact with buyers, it is crucial to know your local business area. Putting up great content and videos about your product or service online is all too well, but unless you target your local customers chances are that all you marketing efforts will not give you the returns you want. Instead examine your local business environment and see how you can increase your online presence. Here are top 5 local SEO tips that will raise your Google Ranking drastically. Schema markup is a type of data that helps search engines like Google to understand and categorize the information on your website more effectively. Schema.org is a collaborative effort in this direction enabling users to put up code on their websites in microdata format which then helps search engines return more informative results. once you markup your websites with regard to the location of your business, what is sells, how much products or services cost or upcoming events, your website listing on the search engine result pages would display all such details, making it easier for potential customers in your area to find your business. and the best part is that no extra knowledge of coding or cost is required to markup your website since this tool was created by a joint team from Google, Bing, and Yahoo to enhance user experience of internet searches. Every business that employs digital marketing knows how crucial the right keywords are in online content to improve rankings on result pages of search engines like Google. 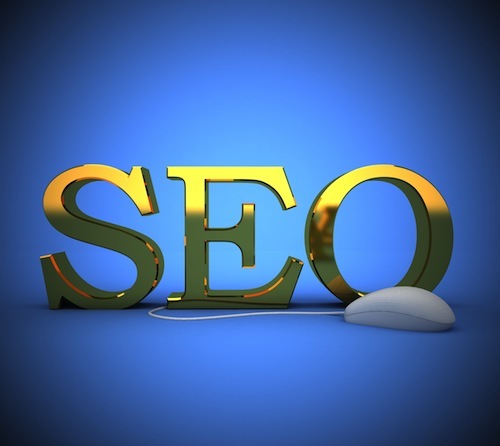 Keywords are words or phrases that relate directly to your business which search engines pick up. But unless you are using keywords relevant to your local market, they will not bring much return for your business in that particular area. So use keywords that people search for in the area where your business is located. There are both free and paid tools which generate long tail keywords filtered by geographical area and language. For example if you have a designer shoe business in Seoul, you need to use keywords like gudu and yanghwa in Korean language as well as area names like Itaewon, Dongdamemun and Nangdaemun. In this way including more local keywords will increase the chances of local attention to your business. For all this Google’s Keyword Planner tool is a useful tool that is free as well. This will tell you which keywords Google is likely to be associating businesses like yours in a particular geographical area and based on those, you will get suggestions on including them on your keyword list as well. One of the most common ways that online users search for products or services is to check out local business listings. Hence it is important that your website or business figures on local business listings compiled by search engines like Google. One of the most effective ways to do this is to open an account with Google My Business by entering the name, address and phone number of your business. Enhance all this by including a concise but attractive description of the products and services you offer, the hours of operation and finally add a working link to your website. For your profile picture on GMB account, choose the logo of your business so that the image comes to be recognized locally as your business. Above all don’t forget to add high resolution photos of the exteriors and interiors of your store. All this measures will help your business to figure high on local business listings on the Google result pages. One of the most overlooked reasons for low presence in local business searches is erroneous NAP details. NAP refers to Name, Address and Phone number – all of which are indispensable in ensuring that your business figures high on Google result pages. Even when business owners are careful to see that all pages related to their business mention the same name, address and phone number, sometimes details like the omission of LLC or Inc can make all the difference between low and high rankings on search engine pages. So update your business website regularly and ensure that all NAP details are accurate as well as consistent across all pages. For businesses to convert visibility into sales, it is essential that their landing pages are optimized to local business environment. This is especially significant if you have a brick and mortar store and depend on direct contact with your customers to close sales. The landing page is the first webpage that online users arrive after clicking a link on search engine result page or a blog. So your landing page should be fully relevant to your local business presence to initiate a conversation with your prospective customers and close a deal. apart from ensuring details like dedicated street address and a local phone number on your contact page, you can also use tools like a location activity map that will help you get audience insights. Above all don’t miss out on providing localized Meta data on your page which includes title tags, URLs and descriptions as well. If you feel all this is too much for you, look for professionals like TopAssignmentExperts who will come up with nifty Meta descriptions in no time which is sure to improve Google search engine page rankings for your business. In all these ways, when you consider that search engines like Google are increasingly fine-tuning their search results to focus on the location relevant to the searcher, you realize the full importance of enhancing the location value of your business website’s landing page. Businesses cannot afford to ignore the importance of being grounded locally, no matter how vibrant their online presence. Even today, customers believe that one way of knowing the authenticity of a business is to check out whether it has a physical store and a street address. So it is very important to use tools and plug-ins which optimize your business appearance according to your location so that your Google ranking remains high.